Hey guys, how have your days been? Ready for our next episode of Pineapples on Music tomorrow? Somehow my hands got itchy so I was ready for another review of an awesome anime. Shall we start? Railgun was an awesome anime with great storylines and it succeeded as To Aru Majutsu no Index’s side-story. Basically, the story takes place in Academy City, filled with a population of 5 million, while 80% are students. Each school will have an esper test every once in a while to realize each student’s ability and rank them according by levels. Misaka Mikoto, the main character, who is a Level 5 esper which means she’s one of the 7 students in the City to reach the max level. Kuroko Shirai, a Level 4 esper who hangs around Misaka often and is her roomate, works at Judgment, the ‘crime breakers’ in the city. Moments where Misaka is with Kuroko’s always funny, since Kuroko has a yuri love towards Misaka and goes all out to seduce her which cracks me up all the time. Other 2 main heroines were Uiharu and Saten, who are 2 close classmates and friends and they started to hang out with Misaka and Kuroko. Throughout the anime, there was a lot of change in storylines, from lots of theories about abilities to busting crimes done by other espers which never fails to keep me enterntained and interested. Only problem with the storylines was that some were a little unrealistic but that doesn’t stop this anime from scoring high in my opinion. Railgun’s graphics were awesome, effects during action scenes was just great too. But one thing I felt weird was about the characters’ facial expressions at times. They were sometimes pretty weirdly drawn and it seemed kind of unproportionate. But other than that, there were times when the characters’ expressions were just cute since the 4 main characters are girls. I’ve always liked Railgun’s openings and endings and had hardly skipped any of them when I watch each episode and I like all the characters’ voice acting except for Kuroko particularly. Most likely because she is a loli yet her voice was a little too matured for her body size, which led to me getting a little irritated and needed a while to get used to it. Nonetheless, the sound effects were nice too. Somehow Railgun didn’t work out well for the ‘Characters’ section, I felt that some characters were just left…under-developed. Apart from that I think our Touma and Index from the first series didn’t get enough screen-time, hoho. But yea, apart from that the 4 main characters were made pretty well, had their own attractive and disadvantageous points, and were cute enough. Railgun was an really enjoyable anime, I enjoyed most of the parts in it but disliked some because of disturbance but in my opinion, it was really great. 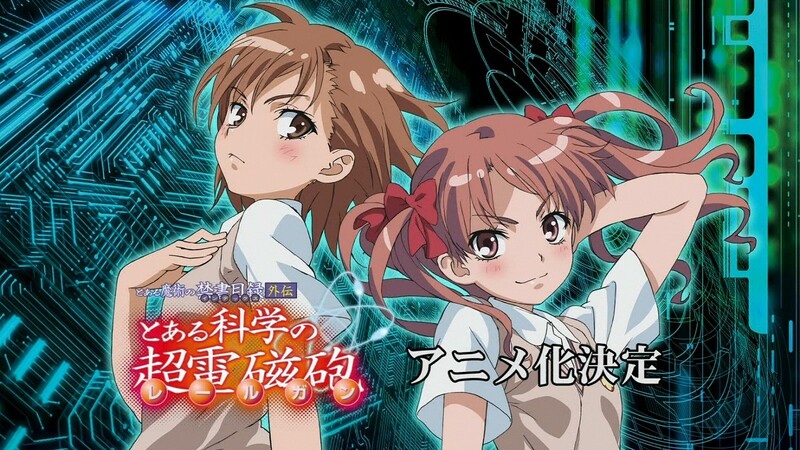 Despite having some flaws, Railgun was really good and I think any action genre lover would like it a lot. Even if you’re not a lover or fan of that genre, there are parts which just focuses on normal life so to all you slice-of-life fans out there, you might wanna give this anime a try. This review was brought to you by Freya from Pineapple Memories, thank you for reading and check back for more anime goodness.